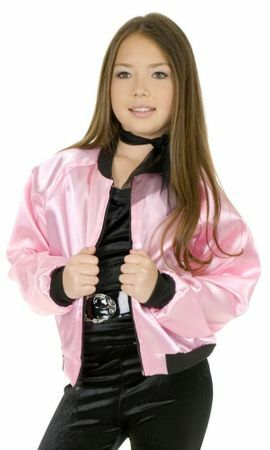 Available Sizes/Colors: Size "XS (4-6)" "M (8-10)" "L (10-12)" "XL (12-14)" Back "Pink Satin Ladies"
Child size pink '50s-style satin jacket with black ribbed waistband and cuffs, zip front. 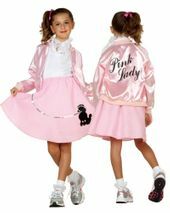 Has the words "The Pink Satin Ladies" screen-printed in black script on the back of the jacket. 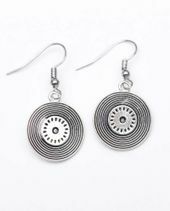 By Charades. 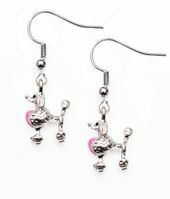 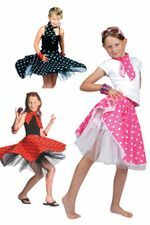 Find more 50's costumes and accessories for kids in our 50's Costumes collection!